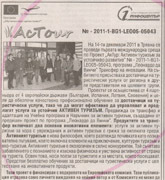 - Press announcement on the project in the local newspaper - 200 subscribers, in addition to the on-line readers. 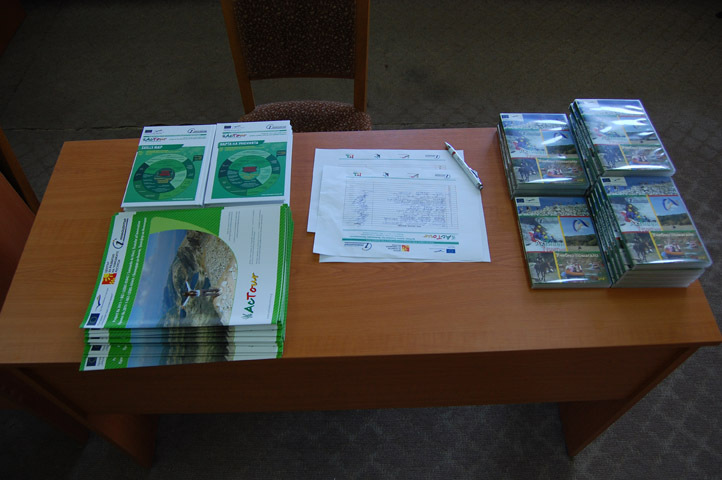 - Dissemination through individual meetings with 40 active tourism providers in Tryavna (distribution of brochures, Skills Map posters, newsletters and other promotional materials). - Meetings with 2 VET providers (5 participants in total) to establish contacts, provide project information and materials and sign memoranda of agreement. - Dissemination meeting with representatives of Balgarka Natural Park (4 participants) to establish contacts, provide project information and materials and sign Memorandum of Agreement. - Dissemination meeting with representatives of Tryavna Municipality (2 participants) to provide project information and promotional materials. 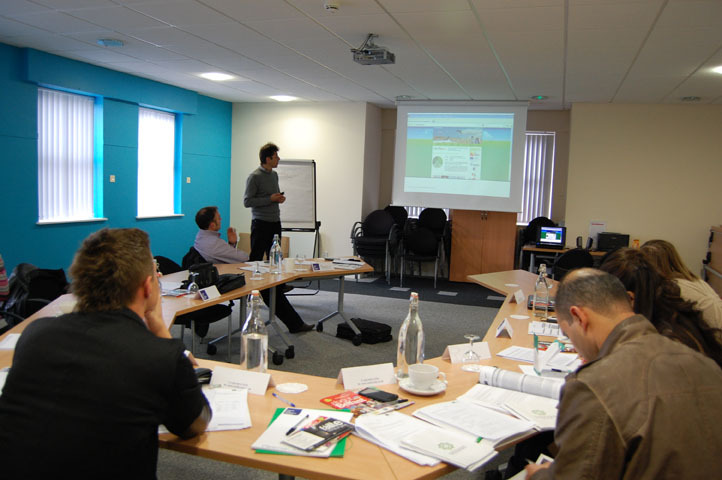 - Copies of the project brochure, which includes our collaborator's logos, provided to our collaborators to further disseminate to their relevant contacts and/or customers. - Dissemination meeting with representatives of two Biking Clubs (5 participants) to establish contacts, provide project information and promotional materials and involve them in future project activities. 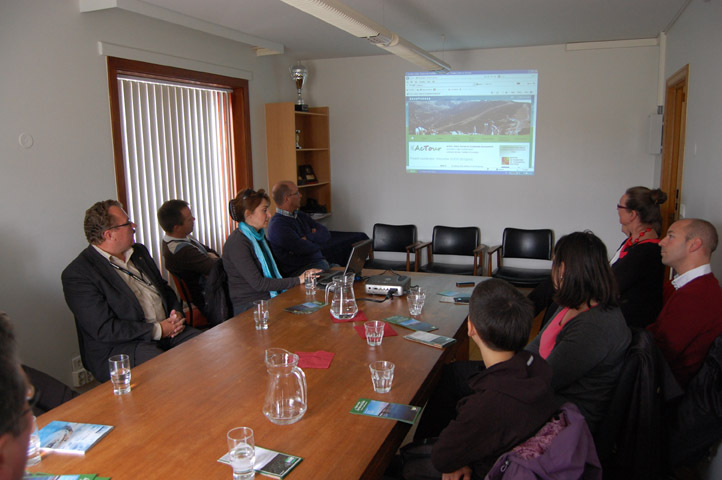 - Dissemination meeting with mountain guides (2 participants) to establish contacts, provide project information and promotional materials and involve them in future project activities. 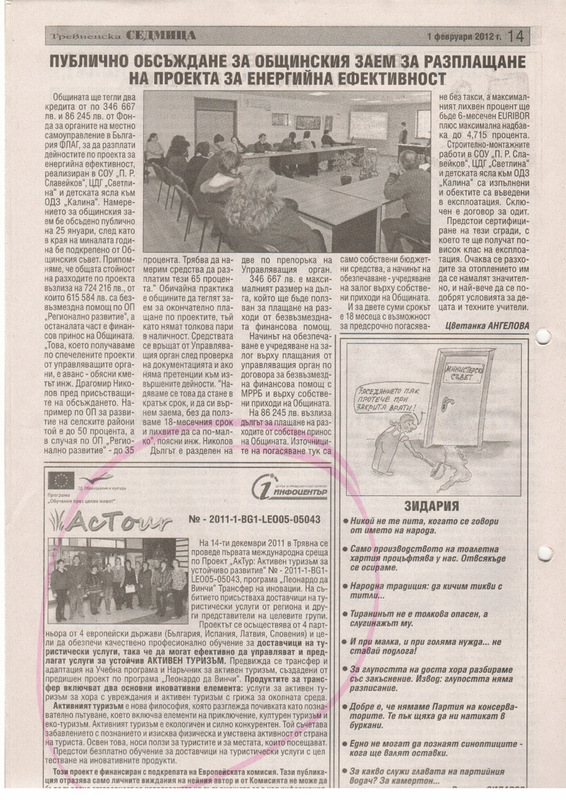 - Dissemination during another ToI meeting in Tryavna, project brochures and information provided (30 participants - 26 locals and 4 international). 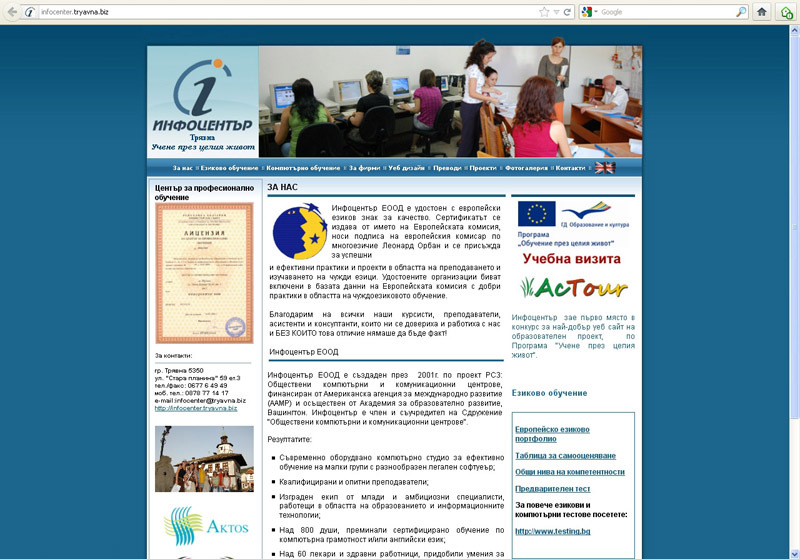 - Project promotion among adult trainees in tourism in Tryavna in March 2013 (8 participants) - dissemination of the project brochure and other promotional materials, presentation and dissemination of project final products. - Project dissemination event among young unemployed, would-be social assistants, tourist providers, interested individuals; presentation of the LLP, the project and the Training Guide and Curriculum, focus on active tourism for seniors and the disabled contents (30 participants, March 2013). 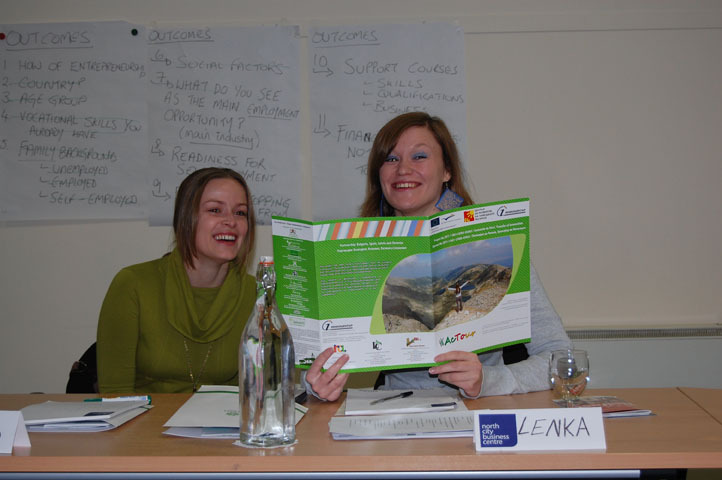 - Project dissemination event among tourist providers and collaborators, sports organizations, environmental organizations, VET trainers, organizations of the disabled, NGOs; presentation of the Training Guide and Curriculum, focus on active tourism activities relevant to the region, Tryavna examples in the Guide (35 participants, March 2013). 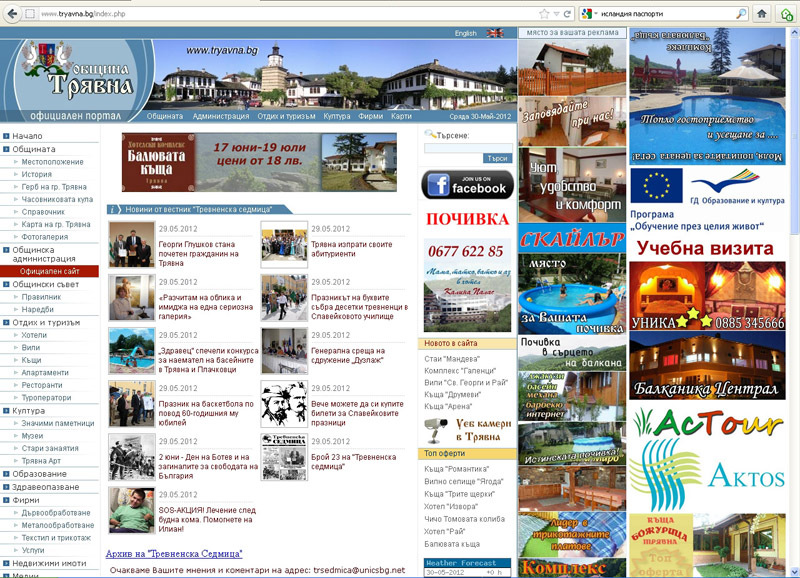 - Project web site (www.activetourism.org) - about 18 600 visits since March 2012 until the end of the project.